Most systems of magical training usually begin with some type of subtle body work. It forms one of the foundations of magical work and training to prepare one to be an instrument for the Divine. In Western Esotericism this subtle body work is usually a simple version of the Middle Pillar Exercise or one of several variations of activating the Chakras. 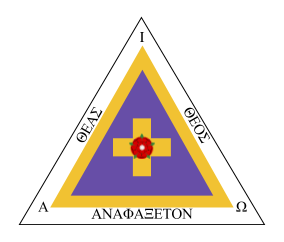 The different versions of the Middle Pillar Exercise can be found in sources related to the Hermetic Order of the Golden Dawn. An often neglected version, and one highly recommended to look at, is the Greater Middle Pillar Ritual found in John Michael Greer’s Circles of Power. Many systems employing the Middle Pillar follow a pattern of simple to complex, usually by visualizing different colors and adding different names and images to each sphere, depending on the “grade” within the system. Several different chakra activation exercises can also be found in some of the schools descended from Paul Foster Case following a pattern of the 7 Hebrew Double Letters and the planets of astrology. Some schools in the Western Mystery Tradition use the Eastern method of awakening the chakras as well. Each has an immense value on their own and in relation to the rest of the given magical system they are a part of. There are several other possibilities to work with in relation to the subtle body based on the Sepher Yetzirah and the Hermetic Qabalah. The Subtle Body: An Encyclopedia of Your Energetic Anatomy is an invaluable resource to explore different systems that are used throughout the world. In the Hermetic Qabalah the Sepher Yetzirah is one of the foundational documents and quite literally by the number and letter lays down a system of mysticism and magic. 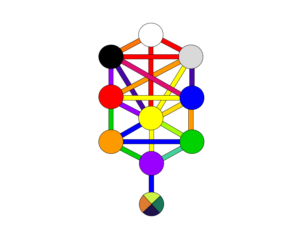 The Sepher Yetzirah has numerous chapters explaining the formation of the Universe through the Divine Decad and the Hebrew letters. Hebrew is one of the main languages of the Hermetic Qabalah. It is based on 3 mother letters, 7 double letters and 12 single letters. A system of subtle body activation based upon 3, 7 and 12 will be suggested in this post and those to come giving specific meanings and instructions to experiment with. Activating the subtle body using a 3, 7 and 12 center version has numerous interesting reverberations. 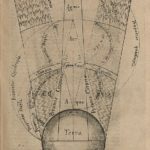 In the older Lurianic Tree of Life the horizontal paths correspond to the 3 elements, the vertical paths to the 7 planets of the ancients, and the diagonal paths to the zodiacal signs. The Sephiroth should be used as well and built up at a later point. It was in the Portal grade of the Hermetic Order the Golden Dawn that the initiate was to “build up in one’s sphere of sensation, the tree of life”. The sphere of sensation is essentially the aura at its most basic understanding. As per the Portal instructions, the entire tree should be activated not just the middle pillar. This may still take place in some Golden Dawn Orders today but in general it is the middle pillar exercise that is focused on. By building a subtle body exercise that incorporates the entire tree, we can take several exercises and combine them into one overarching exercise culminating in the entire tree of life being built up in the sphere of sensation. This may seem like a lot of work, but over time and with practice it flows quite nicely. 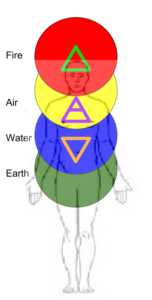 The following exercise is intended to be used to further one’s own inner experience of the elements as they relate to the Human Body. The diagram to the right can be used as a reference point. Forms of it have been used in Martinist, Golden Dawn, and Rosicrucian bodies for various purposes. This exercise is in no way considered to be original but rather an accumulation of different exercises and experiences over the years that have been found to be useful and in harmony with the Great Work. In the previous post, The Natural Order of Elements, it was demonstrated that several schools of Qabalah and different traditions of Alchemy throughout the world use a similar order of the elements. If the Human Body is seen as a reflection of the universe as a whole then it would follow that these elemental correspondences also can be found in the human body and its surrounding subtle body. ש-Shin-Shhhh-Fire- the area of the head, the parts of the brain, both aspects of the nervous system. 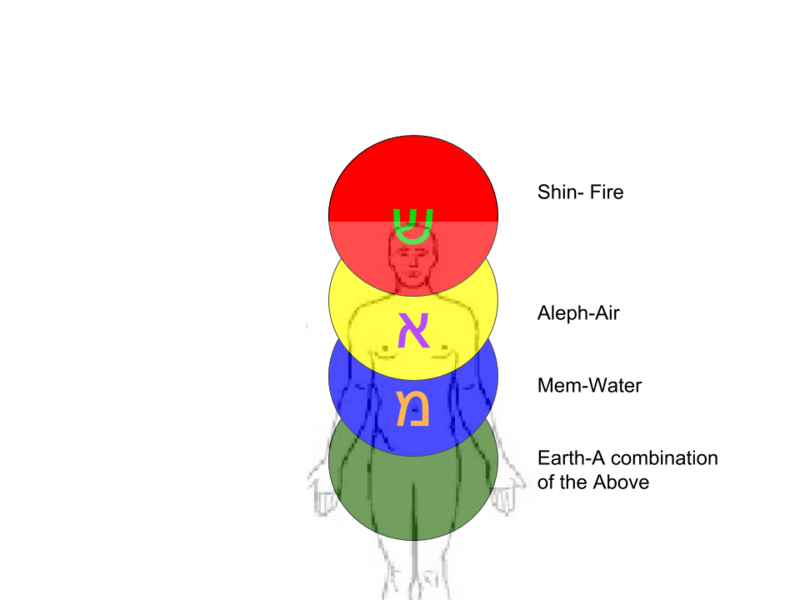 א-Aleph-Ahhh-Air- the area of the chest, the respiratory system, breathing, lungs, air coming into the body. מ-Mem-Mmm-Water- the area of the abdomen, the digestive system, the liquids of the body and the circulation system. Earth-Silent- the thighs, legs, feet, and the skeletal system. If performing a sequence of rituals or exercises this is best done in place of, an energy center activation exercise such as the chakras or the middle pillar. It also completely fine to do this on its own as well. The order of activation given below is using the ascending current, from the material to the spiritual. The descending current, from spiritual to material, can also be used with a different effect. Experimentation with both is suggested. After gaining an initial comfort with this exercise the elemental symbols, or mother letters of the Hebrew alphabet, may be added in their opposite colors. It is up to the individual, depending on the circumstances of your work. Always use your inner guidance and what works best for you. Sit or stand in your preferred meditation posture but one that does not have the legs, feet, hands, or arms crossed. Perform a relaxation exercise that works for you. See the center of the Earth and contemplate it for a moment. On an IN breath see a white blazing light reach from the center of the earth rising up from the bottom of the feet to the upper thighs. On the OUT breath see and feel deep earth colored greens and see and feel these colors encompass your legs and feet. Feel the solidity and stability of this energy nourishing your physical body. On an IN breath see and feel the color blue from your genital region to lowest tip of your sternum encompassing your entire abdomen front and back. On the OUT breath vibrate Mmmm 1-3 times. As you do so feel this activating the water elements of your body. On an IN breath see and feel the color yellow encompassing your entire chest area, the arms and hands, front and back. On the OUT breath vibrate Ahhhhh 1-3 times. As you do so feel this activating the air elements of your body. On an IN breath see and feel the color red encompassing your entire neck and head area, front and back. On the OUT breath vibrate Shhhh 1-3 times. As you do so feel this activating the fire elements of your body. Sit in peace for a few moments contemplating how these elements work in harmony with one another and throughout the universe.